A Cheltenham-based company has been fined after a worker was seriously injured when he fell more than 11 metres through a barn roof while installing solar panels. Daniel Harvey, 28, broke his back in three places, fractured his pelvis, broke several ribs, lacerated his liver and punctured a lung in the incident at a farm in Westbury-on-Severn in December 2012. He is still unable to work and is awaiting a further operation that will determine his long-term prognosis. After an investigation, the HSE prosecuted his employer BCL Renewables Limited, of Andoversford, after they identified breaches of health and safety regulations. Cheltenham Magistrates' Court heard that Mr Harvey was working with a colleague to install some 624 solar panels to the roofs of four barns. He was on a barn roof attaching fixing brackets for the solar panels when the part of the roof he was stood on gave way, sending him crashing 11 metres to the concrete floor below. 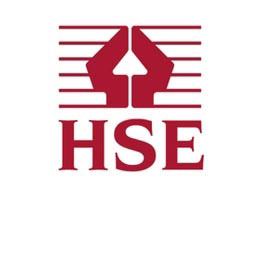 HSE found there was nothing in place to prevent or mitigate a fall, such as edge protection, crawl boards, or netting, and that the work was poorly planned and inadequately risk assessed. In addition, Mr Harvey had received no formal training and had only worked at the company for five weeks. BCL Renewables Limited was fined £20,000 and ordered to pay a further £1,837 in costs after being found guilty in absentia of a single breach of the Work at Height Regulations 2005.The company recently entered voluntary administration and offered no defence in court. Speaking after the hearing, HSE inspector Paul Newton commented: "Work at height is inherently fraught with risk, and it is vital that adequate measures and safeguards are in place to prevent falls and protect workers. "You would expect a company specialising in the installation of solar panels to be well aware of the dangers and the required safety standards, but it would appear not from the evidence we uncovered. "BCL Renewables fell well below the required standards and Mr Harvey sustained potentially life-changing injuries as a result. He could have been killed, and I hope his completely avoidable experience sends a clear message to all involved in the emerging energy market that they must not compromise safety."